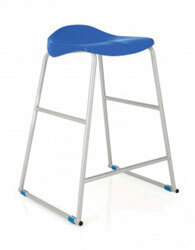 SchoolCare is able to offer a wide range of ICT Suite Furniture. Whether your school is looking for a simple benching system, sophisticated desks with concealed IT hardware, cool student pods or electronically height adjustable desks, SchoolCare have a huge range of solutions to offer your school. At SchoolCare, we know a great product when we see one. 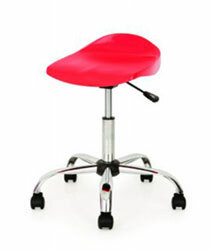 The superior quality of the chairs, desks and tables that SchoolCare offer have really grabbed our interest. 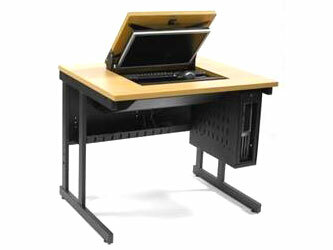 All ICT Suite Furniture offered by SchoolCare will perfectly complement your ICT suite. 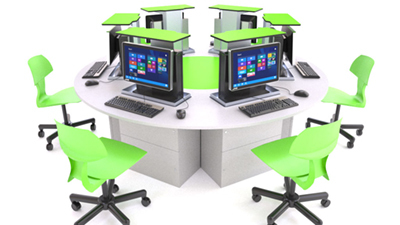 SchoolCare's ICT furniture solutions can be used for full ICT use and also non-ICT use. 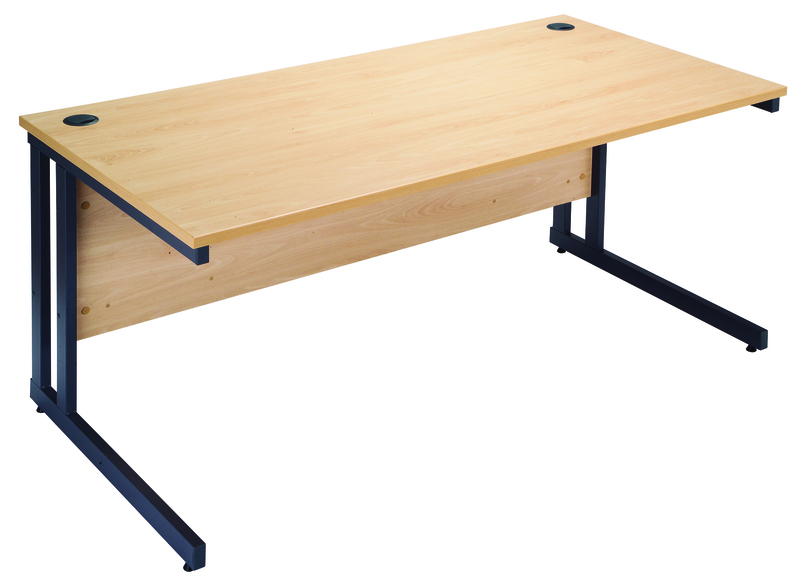 Our desks can be incorporated with optional security devices such as monitor arms and CPU enclosures. All our designs and room plans are created on CAD (Computer Aided Design) software. 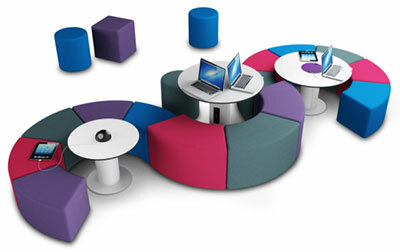 We understand that every schools ICT suite furniture requirements are different and unique. You will be provided with room plans and products that fit your individual requirements perfectly. It doesn't matter what size or shape your room is, SchoolCare can provide a suitable solution to meet your requirements. Most of the desks that SchoolCare can offer are available in bespoke sizes, selection of worktop finishes and steel work colours. The benching that SchoolCare provide comes with an integral modesty panel and horizontal cable management tray. SchoolCare has years of experience working with teachers and pupils right across the whole of the UK, designing benching solutions for ICT suites that make the most of available space and enhancing the learning experience. 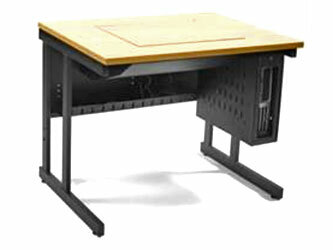 SchoolCare are able to offer desks that can instantly convert from a standard table into a suite of computers with enough workspace in front of each student. Most of the desks work in the same way, all you have to do is simply push down and this then reveals the computer screen, keyboard and mouse which rise up vertically. There are also electronically controlled desks available. All you have to do is simply press a button and the central mechanism rises to reveal a computer, keyboard and mouse for each student seat. These desks can be specified for All-in-One PCs or PCs with standard TFT monitor with the CPU unit for each student seat concealed behind the central structure. These ICT Suite tables can be arranged in rows, waves, collaborative areas, individual desks, grouped around a mobile power and data hub for flexible ICT space. When not in use the table tops can be flipped up and stack together to clear a free space allowing the school to be in control. 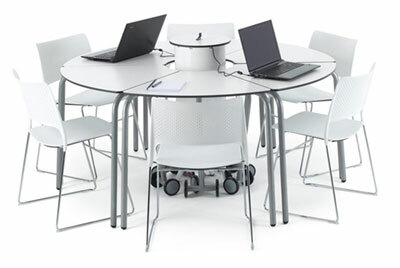 The classroom tables also have the option to come with wheels for horizontal stacking or fixed top without wheels. These tables allow the school to create a flexible ICT Suite allowing the school to adapt classrooms, giving the school a more agile working space. The tables are available in a wedge shape (60°) which allows six to cluster in a circle, or a square shape (180°) which offers endless layout options when combined with the 60° table. 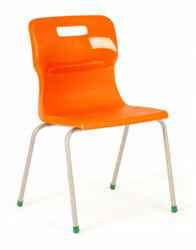 SchoolCare are also able to supply student and teacher chairs. 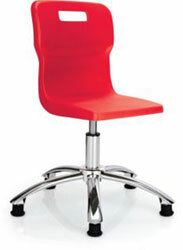 Anything from height adjustable chairs on castors or glides, to stalls and cantilever style chairs. 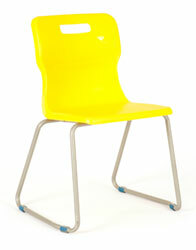 Most of the chairs available come in a variety of different sizes to meet all school ages. And are also available in a vast array of colours. The swivel chair is an attractive range of student or teacher chairs which are not only stylish but offer excellent user comfort in schools, colleges and universities. 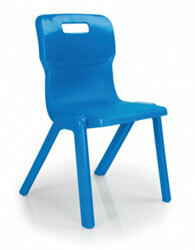 These chairs are excellent because they are anti-tamper, with no removable parts and yet they remain very strong and durable at affordable prices for the education sector. They have a strong solid steel polished chrome base which offers fantastic looks and superior strength compared to a standard nylon base and come with simple seat height adjustment. Please note: The Swivels are delivered KD. Assembly is very easy and no tools are required. They also come with a 10-year manufacturer's guarantee. The ICT chairs above represent just a small selection that SchoolCare can offer. If you have specific requirements then please contact us. The soft seating range is available in a wide range of colours, fabrics and types of vinyl, and comes in heights to suit primary age children through to fully grown students. Hex - The Hex soft seating can be used as individual seats or soft seating clustered with or without complimentary tables. The Teacher Wall is a brilliant piece of ICT suite furniture to house your interactive display or board with interactive projection. Surrounded by shelving and cupboards for essential storage, and with an optional Teacher desk and sliding whiteboard doors. There is a vast choice of different configurations for the Teacher Wall to meet the school's needs. The Teacher Wall can also provide computer charging facilities for Laptops, iPads, all other Tablet devices. It can house other AV equipment such as speakers, amplifiers & DVD players for the laptop or desktop computer which is powering the display. The Teacher Wall is a truly multi-functional piece of furniture. When considering ICT Suite Furniture it is always worth taking into consideration SchoolCare design service. This allows the school to hand over the whole ICT Suite project to SchoolCare. From the painting and decoration, new suspended ceiling and lighting, to new flooring, desks, chairs and installation into agreed room plan. SchoolCare will manage the project from start to finish with all trades involved.